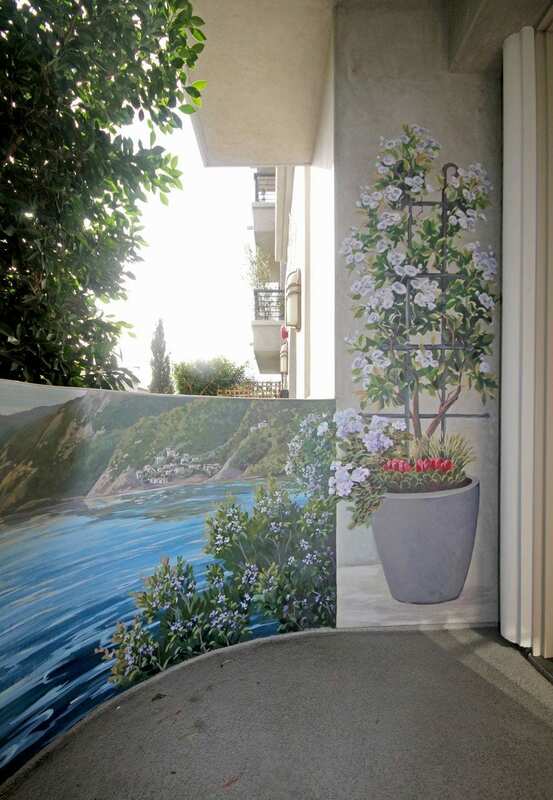 Imagine stepping out of bed and the first thing you see is this lovely view of Lake Como in northern Italy. 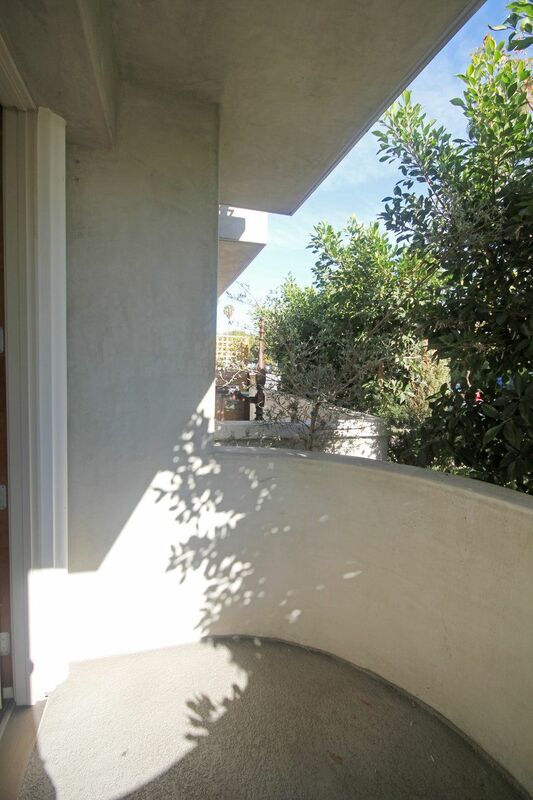 So much more inviting and smile-inducing than putty-colored stucco. 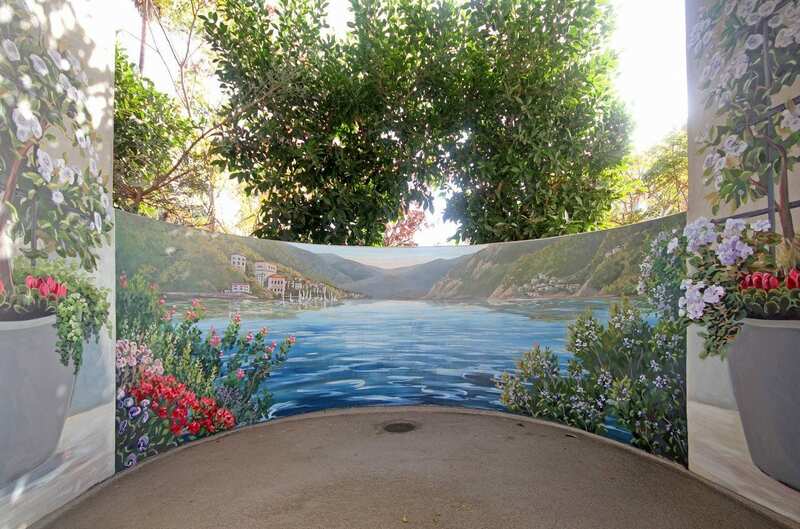 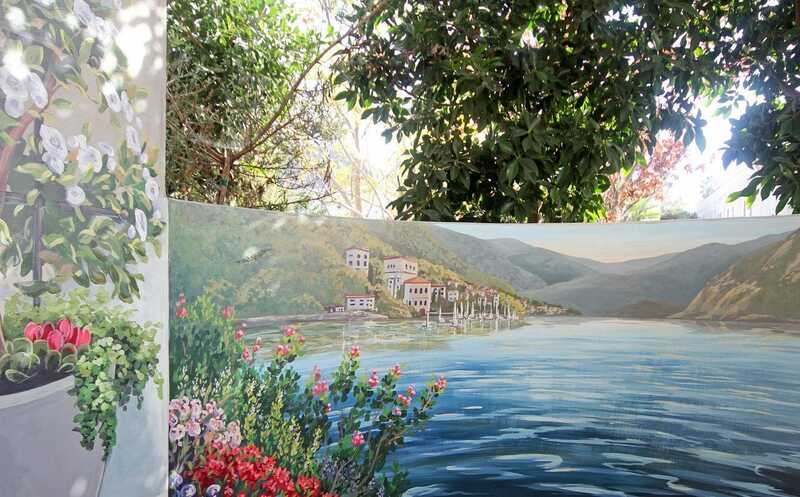 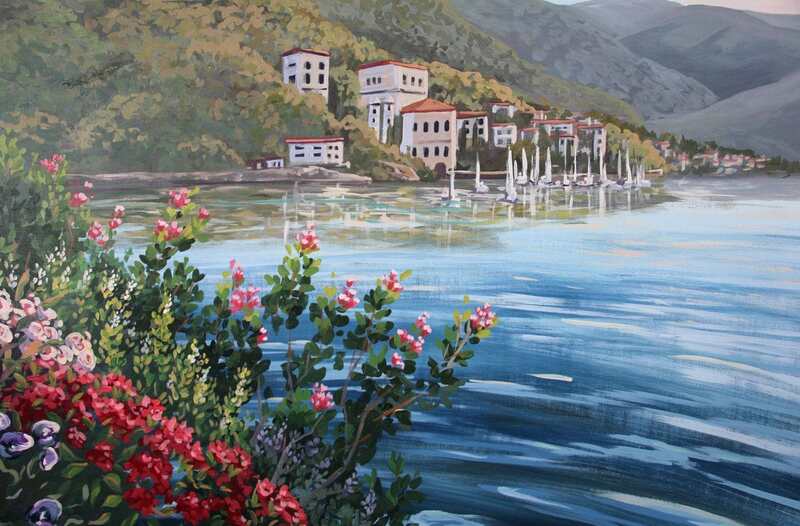 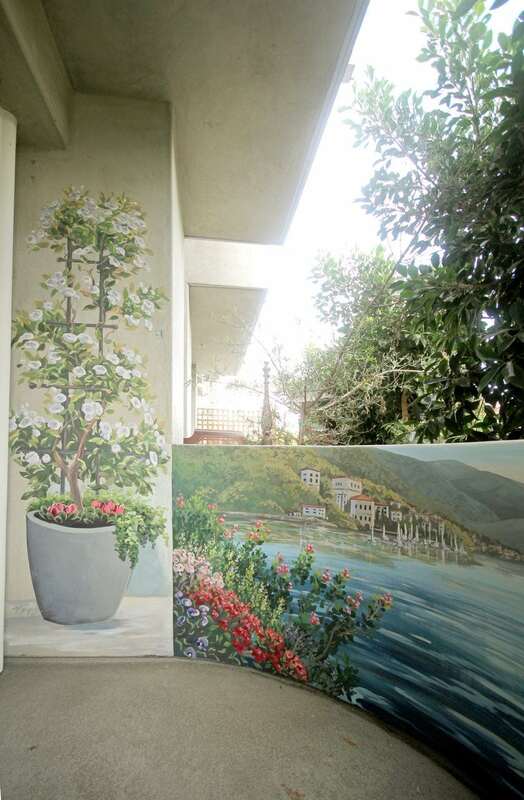 I painted this Italian landscape mural of Lake Como flanked by potted roses in Beverly Hills, CA.